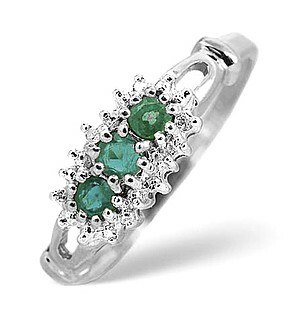 Item E5753 - An alluring Emerald Ring for £155.00 in 9K White Gold. 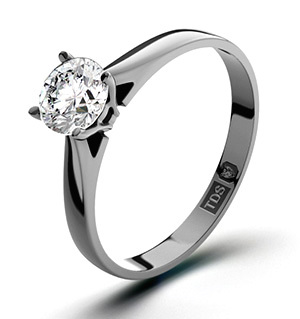 002CT of Premium Quality Diamonds. Platinum Overlay Sterling Silver African Ruby,White Topaz Ring Size O 6.720 Ct. 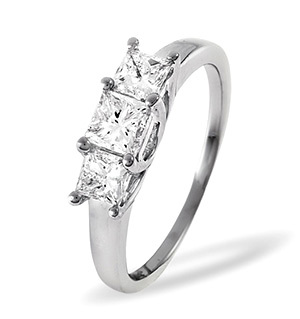 Platinum Overlay Sterling Silver Kagem Zambian Emerald and Diamond Ring Size O 0.665 Ct.